Glass table tops can be used on a range of tables, from kitchen tables, office tables, living room tables, outdoor tables or even just a small nightstand in your bedroom. This means that they can be used in any part of the house that a person may prefer or even in the office where one is working. 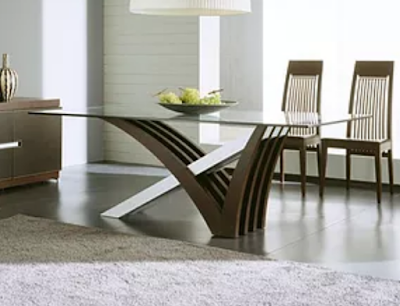 Since the companies making these glass table tops know the danger of sharp glass, the table tops are well made and furnished to ensure that any sharp edges are eliminated and the glass table top is safe to install in the house. The table tops also have to be strengthened to ensure that no cases of easy breakages are experienced. Many different companies manufacture these table tops for sale and also offer installation services for these table tops. They offer them in different sizes and shapes and some even offer a range of colours or patterns to accompany the table tops giving them a unique look and improving your room’s appearance. These companies can be found online. The glass table tops are available at different prices depending on their sizes, colours, shapes and thickness. For instance, custom shaped glass tops are a bit more expensive than any other simple shape like a rectangular table top. Good customer service is always sure from GIOVANI GLASS and you can buy it from us here in New York. We work hard and provide quality support even after sales. You can get the best price and deal from us at all times in new york. So what are you waiting for.